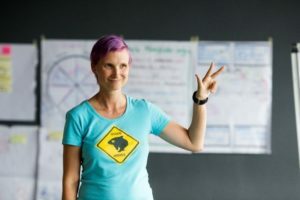 So what happened next in the agile adoption story? John starts to be really frustrated. Is all agile just a rumor? Or did we make any fundamental mistake? It’s just a process, follow it! So he went to the team, be really strong and say “It’s just a process so follow it”. They were weak in following the practices; they abandon most of the particular practices. So somewhere there must have been the problem. If most of the companies reporting agile works great, why agile shouldn’t work for us. That’s because they are still complaining, asking for some change… They have a team fully allocated team now as they requested, so what would they need next? Let’s make a brainstorming in our management group and find out how the individual practices are supposed to be implemented. Then use them and make sure they are not adopting them according to their preferences. 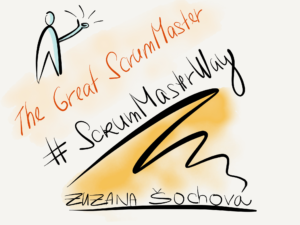 Let’s make sure Scrum Master controls all the activities, is strong enough and able to decide instead of the weak team. Let’s make him personally responsible for the team ability to deliver, quality and overall team health. We can put it into his KPIs. However, the given process, regardless how good it was invented, could not ever bring any commitment, understanding and responsibility. The people just pretending they are following it and keep finding some sideways and complains. Finally, when you asked them, they keep saying “Agile is not for us”. We are different, we have too complex product, we are too big/small to implement agile. Our customers are like this and that, and you know, agile is great, just for a different company.